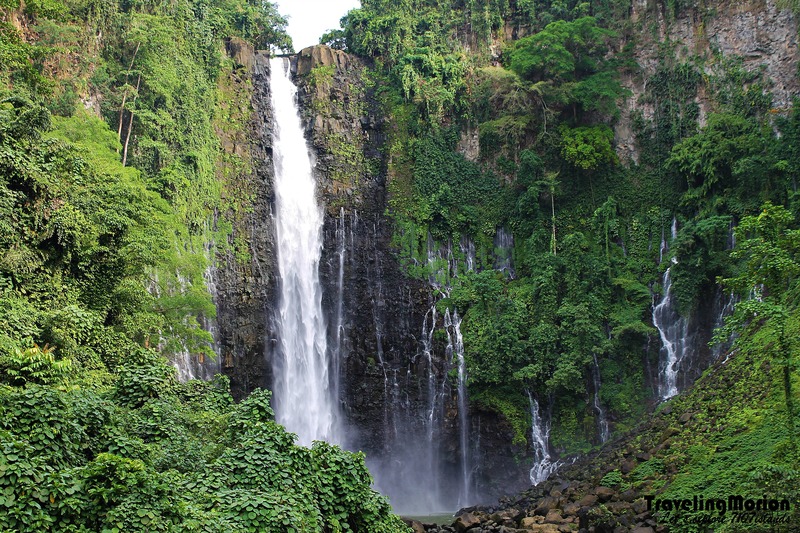 Iligan City is a beautiful place to visit, boasting of a total of 39 waterfalls and several springs. Of all its waterfalls, the Maria Cristina Falls is the grandest and most majestic. Its power is so great that this is harnessed and transformed into electricity which is used in a large part of Mindanao. 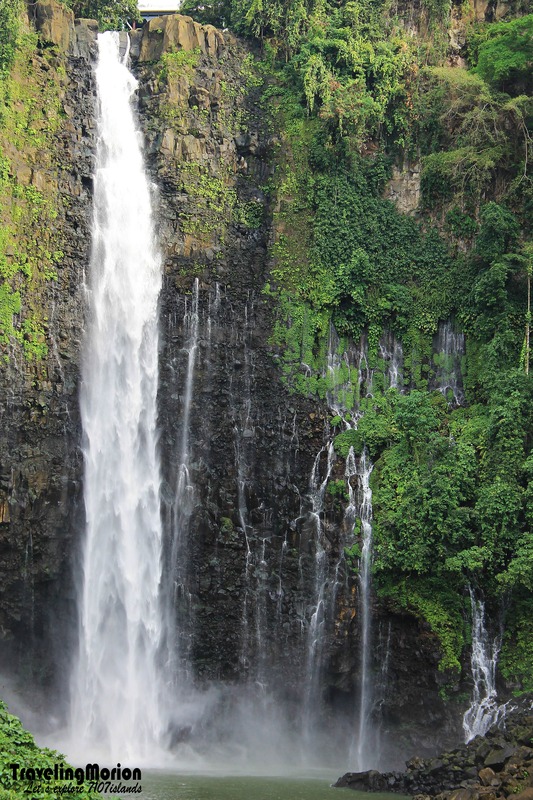 The waterfall is the second highest in the Philippines. Also known as the “twin falls” because of a large rock at its brink that seems to split the falls into two, Maria Cristina Falls is truly a marvel of nature. Its water comes from Agus River, the only outlet of an ancient lake (the Great Lake Lanao). The waterfall continues down through the Agus VI Hydroelectric Plant operated by the National Power Corporation (NAPOCOR). This power plant was commissioned on May 31, 1953 and has provided power to Mindanao to this day. What’s so amazing about the falls is that its water power is able to provide electricity to a major part of Iligan City, a city known for its large industries and manufacturing plants, as well as many parts of Mindanao! The NPC Nature Park in Iligan City was created to allow people to marvel at the beauty and power of the Maria Cristina Falls. Certainly a must-visit to tourists visiting Iligan City, the nature park features a view deck that directly looks out to the falls. The view deck is not very close to the falls but it is the closest point you’ll ever be able to reach. Raging waters prevent treks close to the actual falls. Still, you can easily admire the beauty of the falls even at a distance. Although a twin waterfalls, it is rare for tourists to see both drops cascading because if the NAPOCOR allows that, then there would be a significant change in the power that reaches the power plant. Such an event will lead to a power failure across Mindanao because the plant supplies 70% of its electricity! Thus, only 1 of the twin cascades is allowed to have water. Most of the waterfalls in the country are tucked away in the mountains, with tourists who wish to visit needing to take local modes of transport such as a habal-habal to reach a drop off point. Then, they would have to walk for some time before reaching the actual falls. Well, you’d be surprised to learn that even with its status as the second highest in the country, the Maria Cristina Falls is surprisingly one of the most accessible. The road leading to the falls is concreted and well-established, with regular routes available for various forms of transportation. You can even take a jeep to reach the NPC Nature Park where the falls is situated. 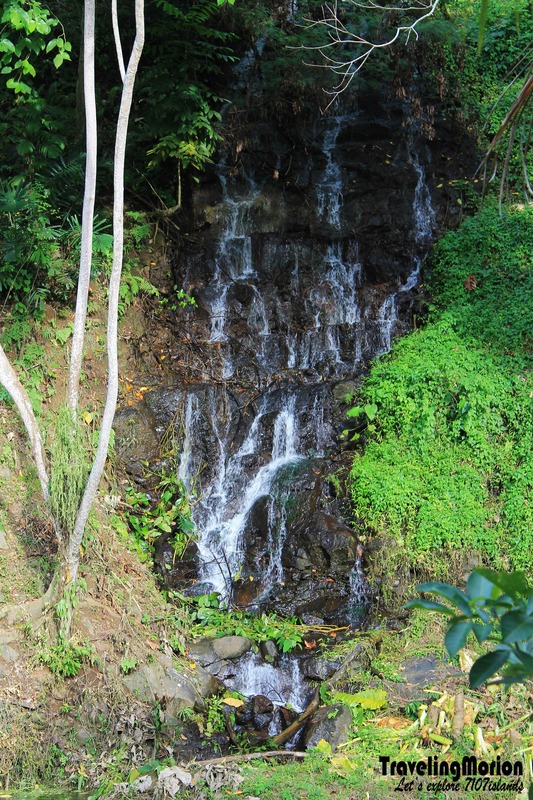 Aside from the waterfall, what other interesting things can you see in the NPC Nature Park? Well, it wouldn't be called a nature park just because of the waterfall. The quiet butterfly sanctuary is a great spot for taking pictures of beautiful butterflies frolicking amid a vast garden of colorful flowers. 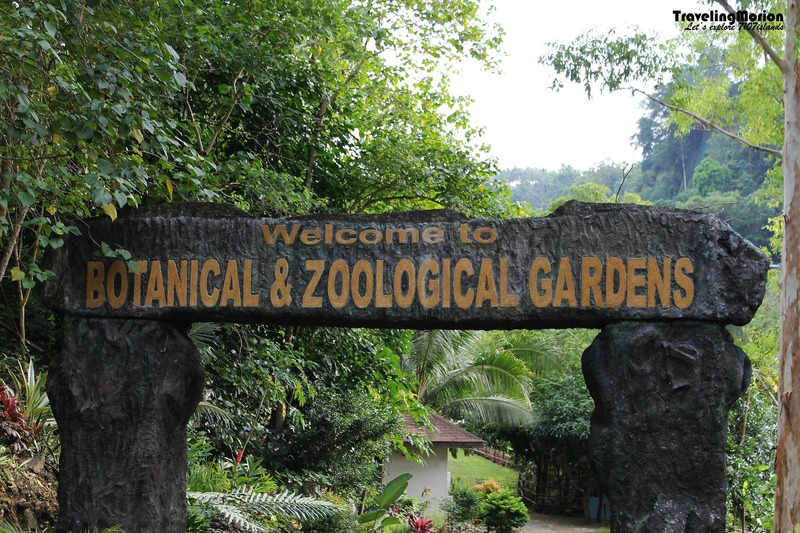 Visitors can explore the park and see wild animals like crocodiles and monkeys. 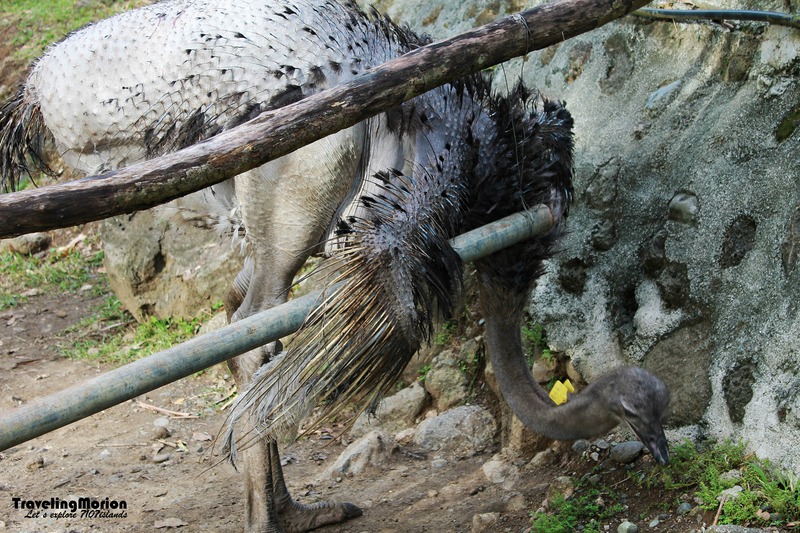 The minizoo in the nature park also features Japanese kois, stunning peacocks, and ostriches. There is also a bat park and a lovely orchidarium. The park is a wonderful destination for families. The kids will enjoy the playground and can have lots of fun identifying the birds at the aviary. Everyone can also enjoy a stroll over the hanging bridge while admiring the stunning views of the river and the lush greenery around the park. 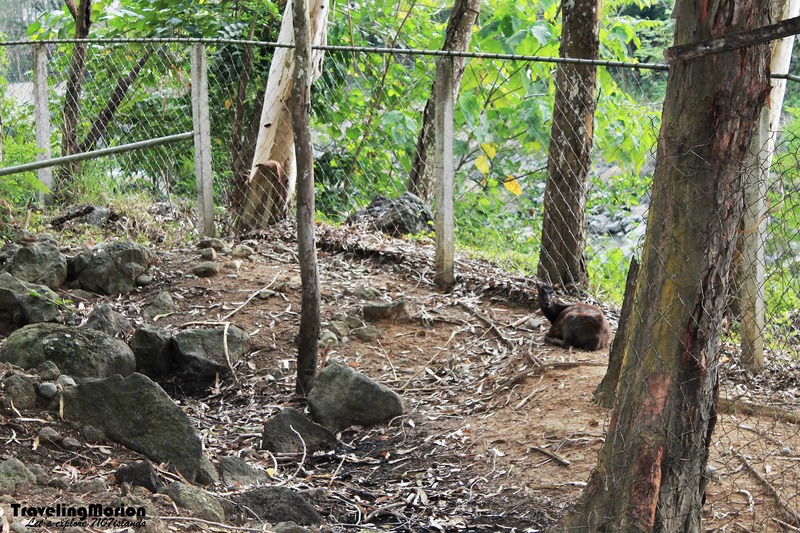 There is a trekking area, a wishing well, and an orchard with durian, rambutan, and lanzones trees. Enjoy fishing and try your hand at rock and wall climbing. Thrill seekers will love the sense of adventure brought by the Tree Top Canopy Tour and Zipline Adventure. 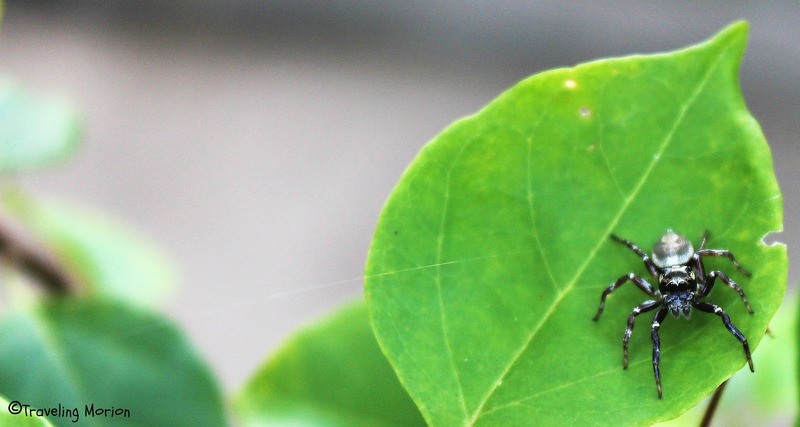 They climb up the trees wearing safety gear. Then, they get to walk along a rope bridge which is hundreds of feet above the park. It could be a scary walk but the ziplines are scarier! There are 3 zip lines over the park – and you’ll get the chance to soar over the wild waters of Agus River. The vertigo-inducing views also give you stunning views of the river and the distant waterfall. White water rafting is also available along Agus River for those who want to experience firsthand the power of this raging river. For those want a quieter cruise along the waters, there is a kayaking area with several kayaks available for rent. Surprisingly, entrance fees to the nature park are quite cheap, making the NPC Nature Park easily accessible for everyone to enjoy – adults and kids alike. There are also picnic tables along the river, allowing visitors to enjoy a sumptuous meal while admiring the views. The zip line rides are available for an additional fee. Shuttle rides are also available for a fee. From Iligan City, ride in a jeepney bound to Barangay Buru-un. Fare is 15 Php. Tell the driver to drop you in Eskina (crossing) Maria Cristina/NPC. After paying the 35 Php entrance fee at the gate, ride in a habal-habal going to the viewing deck or you can also walk for more or less 20 minutes. Habal-habal fare costs 25-35 Php. You can also hire a habal-habal from the city proper to go directly to the location which costs 100- 150 Php. The only waterfalls I've seen so far is the Tamaraw Falls in Mindoro. They are equally beautiful but I think Maria Cristina Falls is more majestic. Hope to visit there one day. ahh...another site of the famous Ma. Christina falls.. it is indeed very nice and i've seen it in person. Ever since I was in grade school, dream ko ng mapuntahan ang Ma. Cristina Falls. Ang ganda pala. I first heard about Maria Cristina Falls when I was still in elementary and I always thought that it is the most beautiful falls in the Philippines. Based on your pictures, I think I was right! Hehehehehe! What happen to the ostrich? Parang wala ng feathers hehehe. Beautiful FALLS. I given a chance I would love to explore Philippines and this is one of the places I would to see. I have been to Iligan City a few times, but I never went to this falls. Now, I regret it. so amazing the falls is really flaunting. I am yet to see this work of nature. It's been in my bucket list for such a long time.